Welcome to these videos on buying and selling businesses where each time, in 60 to 90 seconds, I’ll share with you one practical tip that you can use. Now, I meet a lot of dealmakers who talk to me about buying distressed businesses, so businesses that have got themselves in a little bit of trouble, businesses where they maybe aren’t doing as well as they used to be. Now, let me give you a different way of looking at this. Instead of looking for distressed businesses, why don’t you look for a distressed business owner, so the business is absolutely fine but the business owner is stressed, has had enough, wants to get out. Don’t look for distressed businesses, look for distressed business owners. 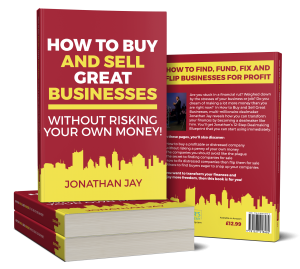 Hi this is Jonathan Jay, from the Dealmaker’s Academy with some top tips on buying and selling businesses. Now one of the challenges that some deal makers have is that they say they don’t attract the right businesses. They get inquiries from businesses that want to sell, but they’re the wrong businesses, they aren’t the businesses that they’re looking for. And I think I know the reason why, the reason why is because they don’t know what they want, and because they don’t know what they want, then their marketing and their word of mouth advertising are a little bit scatter gun, and as a result they get a random selection of people approaching them. Where if you’re very clear on your sector, on your market, the size of business, the location of the business that you want to acquire then you might get less deal opportunities coming your way but the ones that you do get are absolutely laser focused on what you want. So having a personal strategy, knowing what type of business you want to buy, and the criteria that you’re going to buy, is very, very important, and that’s a starting point really for everything else that you do in deal making. Good Ol’ Fashioned Business Cards! Welcome to this top tips video and today, a very, very simple tip, but I know a lot of Dealmakers don’t do this. Now this is something that you really must do and that is you need to have a business card. You need to have a good old-fashioned business card. You need to have them with you at all times and you need to have them in your pocket and you need to be able to swap business cards, not just give them out. But you need to receive them as well and one little tip when you receive a business card what I always do is I take a pen and I make a note on the card of something about that person so that when I get back to my hotel room when I get back home I know who it is I’ve been talking to because sometimes it can get really confusing when you’ve got half a dozen cards, you don’t know who’s who. So, really good tip, but an old-fashioned tip perhaps, is have a business card, swap business cards, keep your business cards safe because you never know when you might need someone who you could be doing a deal with. Hi, this is Jonathan Jay from The Dealmakers’ Academy. Welcome to these videos on buying and selling businesses. Now today’s top tip is all about finding deals. And one of the very best places to find deals is actually on social media, like Facebook and LinkedIn. Now, you may not be a social media person, I’m certainly not, but I know that if I see an opportunity like Facebook and LinkedIn as a way of finding deals, then I’ll get used to the idea of having a Facebook page and a LinkedIn page. You don’t have to do anything else on the page except use it to find deals. You see, all the businesses are out there using Facebook and LinkedIn, so you should be too. And quite often, it just takes one or two posts to get people coming to you saying I’d like to talk to you about selling my business. And I have clients who don’t believe it until they try it, and they do it once, they put one post on LinkedIn, one post on Facebook, and as a result, they get emails and contacts from people who say, yes, I’d love to talk to you about you buying my business. So, even if you’re not a social media person, why don’t you try that out as a great way of finding deals? If you haven’t subscribed, click the Subscribe button, and I’ll see you on the next video. Welcome to these top tips videos where I’m sharing with you experiences for the last 20 years of buying and selling businesses. Now, for many years, I wrote books on marketing, and sales, and advised companies on growing their business using marketing, like Google and Facebook, to grow their companies. Now, there is a plus side, and there’s a downside. The plus side is that marketing is something that every company should be doing if they want to grow. The downside is it can be a slow process, and sometimes you feel like you’re taking one step forward and two steps backwards. Which means that you acquire a customer or two customers today, you lose another customer tomorrow. You acquire another customer, you lose a customer, and as a result you never seem to move forward as fast as you really want to. The little, tiny, bunny hops of growth, but why don’t you take those bunny hops of growth, and turn them into kangaroo leaps, where by buying a competitor, you suddenly grow your business by 200 customers, 300 customers, 500 customers, a thousand customers overnight, and that sort of growth propels you into the big times. So, I advise every single one of our clients is to grow your business via acquisition. If you haven’t yet subscribed, hit the subscribe button, and I’ll see you on the next video. Hi this is Jonathan Jay from The Dealmaker’s Academy. Welcome to these top tips videos where I’m sharing with you some of the experiences I’ve had over the last 20 years of buying and selling businesses. And here is a very, very important tip for you if you currently own a business. You should be looking at buying at least one of your competitors. So someone that you compete with. Now there is a huge advantage to this. The advantage is, first of all, you remove a competitor from the market place. A second advantage might be is that they serve the same market place but at different price points. So you might be premium and they have low price products in that market and by combining the two into one company you can now serve the larger market. Another advantage of buying your competitor is they probably have similar staff and similar operations to you and by merging your business with theirs and removing all the duplication you now have a far more profitable entity than the two businesses trading separately, so combining them actually makes a far bigger and a more profitable company. I know it works really, really well. I suggest you look at it as well, so hit the subscribe button, click on that right now. You’ll get a notification about the next video and I’ll see you next time. How to buy the business you work for! Welcome to these top tips videos where I’m sharing with you tips on buying and selling businesses. I’ve got an interesting one for you today. And this is really applicable for people who work for someone else. So you work for someone else but you’re thinking of starting your own business or think you’re buying a business which makes a whole lot of sense. But here’s an idea for you. How about buying the business that you work for? How about making a proposition to your boss that you take over the business that you work for? Now, there’s a lot going for this because you understand the company, you know what’s good about it, you know what’s bad about it. You know what can be improved. Maybe you can see upside that your boss doesn’t. Maybe your boss is frustrated. Maybe your boss isn’t ever there, is always on the golf course and isn’t really interested in the business any more. And you know that with some TLC you can build that business up. So, I think that if you’ve got a good relationship with your boss you should be having a chat with him and say, have you thought about any succession planning? Have you thought about who will take over the business in the future? Because I’d like you to consider me. Now, the good thing is is that you’re buying something that you understand, you’re buying something that you know. And also from your boss’s perspective, they’re selling to someone they know, like, and trust. So it should make the deal an awful lot easier. So that’s, to-date, a rather unusual tip for people who are working for someone else. To get more tips like this, just hit the subscribe button. You’ll get a notification every time a new video’s released, and I’ll see you next time. How you can use the Rule to become a more successful business investor. How following the ‘1-5-1’ Rule will ensure you enjoy a large influx of money every year. Welcome to this top tips video where I’m sharing with you experience of buying and selling businesses that goes back over 20 years and giving you just in 60 to 90 seconds each time a quick tip for you to actually implement in your journey of buying and selling companies. And today we’re going to talk about the one, five, one rule. Now the one, five, one rule is where you have built up a small portfolio of six businesses and across the course of a year you sell one business, you keep five and then you buy another one to replenish your stock, to replenish your portfolio so you always have six. But what this means is, is that you can sell one every year so you have a capital event every year so you have an influx, a large influx of money every year but you’ll replenish your portfolio with another business so you’re already buying one a year once you’ve got to your six. You’re buying one a year, you’re selling one a year and it’s very, very simple to do but it means you’ve always got a portfolio of six cash producing assets, one creates a capital event so a big money exit and then you buy another one to replace that one. So remember the one, five, one rule is a great rule to follow. Hi, Jonathan Jay here from The Dealmaker’s Academy. Now if you found out the real motivations of the seller, if you found out why they really really want to sell or why they want to sell to you and why they want to sell now rather than later, find out what those motivations are. You can create an offer that fulfils those desires so let’s say for example, it’s not about the money, it’s more about the freedom, it’s about speedier transaction, it’s about being able to not come to the office anymore and you can make sure that your deal has an emotional foundation not just a financial one and this is where you get a more successful win win. If you just let it be about the money then it becomes a financial transaction which is a lot less emotion. What we want to do is, we want to tap into the emotions of why someones selling, we want to leverage those emotions that we actually give the seller what they want. For the next tip, hit the subscribe button, I’ll see you next time. Remember it’s not all about the money! Where is the best place to negotiate a deal to buy or sell a business? Find out the three places to negotiate a deal to buy or sell a business in this brief video by Jonathan Jay, founder of The Dealmaker’s Academy. People ask me all the time, when you’re negotiating a deal, Jonathan, where do you do it? So, there are three places to negotiate. never negotiate using the phone or by email, you do it face-to-face. But there’s three places face-to-face that you can do this. You can do this in a location of your choice, so maybe your office. You can do it in a location of their choice, so you could do it at their office. Or you could do it in a neutral place, like in a hotel lobby, hotel foyer, and I suggest that the neutral place is a great place to start, simply because, if the hotel is close to the seller’s location, if that meeting goes well, then you can whip round the corner to the seller’s office and just see the stuff and get a feel for the atmosphere of the business. Now there are advantages to someone coming to your place, to your office. Maybe they feel a little bit less comfortable, so you might have a slight emotional upper hand there, or you can actually control the environment. You can know where everyone’s going to sit, and you can get into the position so that you and your colleagues are there to support you. Or, if you do it in their office, maybe they feel more relaxed and they feel more comfortable, but you are slightly at a disadvantage because they control the situation. So big tip, do it in a neutral location close to the seller’s office. For the next tip from the Dealmaker’s Academy, hit the subscribe button. Do you understand what is being sold? Discover why it is so crucial to understand exactly what parts of the business are being sold and by whom in this short video from Jonathan Jay. This tip today is all about understanding what is being sold. So are you going to be sold the shares company, do you want to buy the shares, are you going to be sold the assets, is it a sole trader in which case it’s far harder to extract the assets from a sole trader because a person, an individual owns those assets, owns the business. So you got to understand what is being sold and sometimes sellers don’t tell you the whole story and they present everything to you and then you discover the natural fact, the business is split across several companies and they’re selling you the least desirable one, where actually you want the most desirable one or they’re selling off the bad bit of the business and they want to keep the good bit. So big, big tip here, you need to find out what’s being sold, who you’re buying from and then you could have a more successful acquisition. 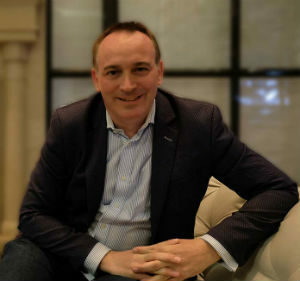 Knowing the time-scales the owner of a target business wants can help you to create an appealing offer says Jonathan Jay, founder of The Dealmaker’s Academy. This tip about buying business is all about understanding the time schedule of the seller, finding out whether there are any deadlines or any situations which are putting pressure on the time schedule. Let’s say, for example, they seller is emigrating and they’re moving abroad, they’ve got the flight booked to Australia and they’re going to be leaving on a certain date so they’ve got to do the deal before then. Very useful when you know those time scales because it allows you to manage your time and either work very quickly or work at a slower pace. But understanding the time scales also means that you understand the motivation of the seller to get a deal done. And when the other side wants to get the deal done quickly, they end up with a worse deal and you end up with a better deal. Are There Any Pressing Creditors? Does the business you are considering buying have any pressing creditors? In this short video, Jonathan Jay, founder of The Dealmaker’s Academy, explains why getting this information early on is so important. Welcome to today’s tip which is all about finding out from the seller whether there any pressing creditors. So a pressing creditor is someone that the seller owes money to and who is demanding payment and it’s getting serious. They’ve been fobbed off for a while and it’s now got to the point where payment needs to made. And usually, it’s a HMRC tax issue. They haven’t paid their VAT. They’ve gotten away with it for a few weeks, maybe a few months, and it’s, the pressure is building up. Now why do you want to know this? You want to know this because that is part of your leverage in a negotiation. You want to find out whether by solving that one problem you make all their pain go away. And there are ways to solve this problem after you’ve bought the business that don’t involve spending your own money. But finding out if there are pressing creditors is a great question to ask, not on the phone, that’s way too early, but when you’ve built rapport, when you have built your relationship, because it gives you the information and the knowledge that you need to be able to craft an offer that helps the seller get what they want. Is The Business On The Market? Hi, this is Jonathan Jay, The Dealmaker’s Academy. Very important tip today, which is a question you would ask in the opening phone call. And then you just sit back and listen and wait for the answer. They might say it’s with an agent or broker, and this is all the information that you want to gather, because if it’s on the market with an agent or broker, why are they speaking to you? Why have they contacted you? You want to find out if it has been on the market, how long it’s been on the market for. If it’s been on the market for more than six months, there’s probably a frustration building up. More than a year, they’re probably so frustrated that if you can construct some sort of sensible deal, they will accept it. So finding out whether the business is on the market is a great tip to find out very early on in the conversation, it helps you in the negotiation process. To get the next tip, hit the subscribe button. I’ll see you next time. In this short video, Jonathan Jay, the founder of The Dealmaker’s Academy, reveals why being prepared to walk away from any deal ensures you will always be in a strong negotiating position. Hi, Jonathan Jay here, from The Dealmaker’s Academy. Let me give you a great tip when negotiating. This is probably the biggest and the strongest negotiating tip that I can give you, and the tip is this: you must always be prepared to walk away. And it’s almost a little bit like Columbo, you know how Columbo, in the T.V. show, he would have his conversation, he would walk away, but he’d stop at the door and he’d turn around and say something or the other person would say something, but it’s that pause that is very, very uncomfortable and when someone sees you walk away, their negotiating position crumbles. Now, the way you walk away with confidence is because you’ve got several deals on the go at any one time, and if one of them isn’t right for you, you can walk away. So, big negotiating tip here, walking away is incredibly powerful. That takes courage to do it, but if you’ve got the self-confidence, you can do it. To strengthen your negotiating position and achieve a better deal, you need to research the business you are targeting, according to Jonathan Jay, the founder of The Dealmaker’s Academy. Hi this in Jonathan Jay from The Dealmaker’s Academy. Welcome to this tip on buying businesses, and today’s tip is all about knowledge. Knowledge is power as they say, and the more knowledge you have about the business that is ah, being sold to you, is being pitched to you. The stronger your negotiating position, the better the deal you will get. Now what I mean by knowledge. Well first of all, look at the company’s website. Understand what it is that they are selling. So, when you are talking to the seller, if they are saying something that’s at cross-purposes with what the website says. Why, why isn’t the website being updated? Why do they say one thing, and the website says another? Look at their accounts at Companies House. You find out what the accounts say, so if the seller is trying to tell you what a wonderful business it is. You know because you’ve done your research. You know that maybe it isn’t so wonderful after all. Maybe when they tell you that they are the number one player in the market. It would be on Google. You’ve found that loads of people sell the same thing. Sometimes at a high price, sometimes at a lower price, but you know your market. Knowledge is power in negotiating. Now for the next tip, hit the subscribe button. Ill see you next time. Why only a fool would show their hand to a broker at such an early stage. How to respond to proof of funding requests. Let me give you a top tip today on what to say when someone asks you for proof of funds. Now, typically this happens if you’re speaking to a broker or some sort of business transfer agent. They will, in the very early conversation, they will ask you for proof of funds. Now, of course you would be a fool to show someone your bank balance or to show your hand, you don’t want to do that because it weakens your negotiating position. Now we can’t blame the poor broker, because probably the person that you’re speaking to on the phone is reasonably junior, they’re the first level of screening at the brokerage and as a result, they’ve been given a script to follow and one of those questions is do you have proof of funding? Well, the answer is well, I don’t really know what we’re funding yet, so how can I give you proof? And this is what you would be saying, you’d be saying, I work with other investors, I work with private individuals, high net worth individuals, and funding is always available if the numbers stack up. At this early stage, I don’t even know what the numbers are, so let’s find out what the numbers are, let’s find out whether the numbers stack up, and if they stack up, funding is always available for the right deal. So that’s how you deal with that question. I’ll see you next time, hit the subscribe button for the next video and the next tip.